In my new book about helping troubled dogs, The Midnight Dog Walkers: Positive Training and Practical Advice for Living with a Reactive or Aggressive Dog, I devote an entire chapter to the “scope of the problem” facing dog owners today. I could have, however, written a very large book just on the subject of why some dogs are willing to use their teeth to communicate. Dog bites are a serious problem. The American Veterinary Medical Association estimates that there are 4.5 million people bitten by dogs every year in this country. Children are bitten by dogs most often. Photography ©Volodymyr_Plysiuk | Thinkstock. Learn canine communication. Dogs have their own species-specific language. They warn us when they feel uncomfortable. Take the time to learn from a professional in the dog industry just what fear, anxiety or frustration look like from a dog’s point of view. Editor’s note: Have you seen the Dogster print magazine in stores? Or in the waiting room of your vet’s office? This article first appeared in Dogster magazine. Subscribe to Dogster and get the bimonthly magazine delivered to your home. 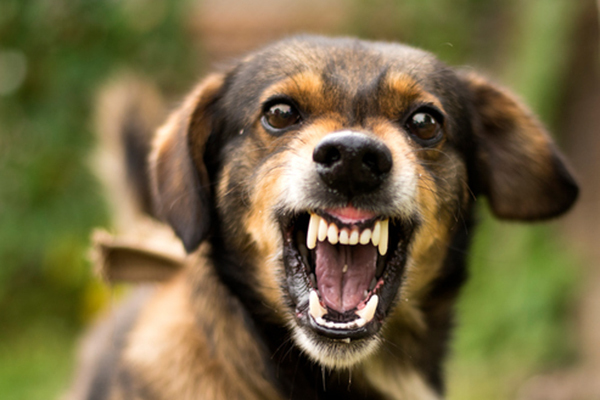 The post How to Prevent Dog Bites appeared first on Dogster.